My leeks are no Usain Bolt’s, let me tell you! It was sunny yesterday morning so I went out early in the back to tidy up the bottom bed, weeds were beginning to sprout there and bindweed was finding it’s way in too. I do like a bit of clearing and weeding as it also gives my headspace a chance of a clear-out too (man)! Funnily enough I was going to “rest” that bed this year, but in February I obtained a great selection of stuff from the seed swap organised by Lewisham Gardens and Golightly Gardens (post here.) 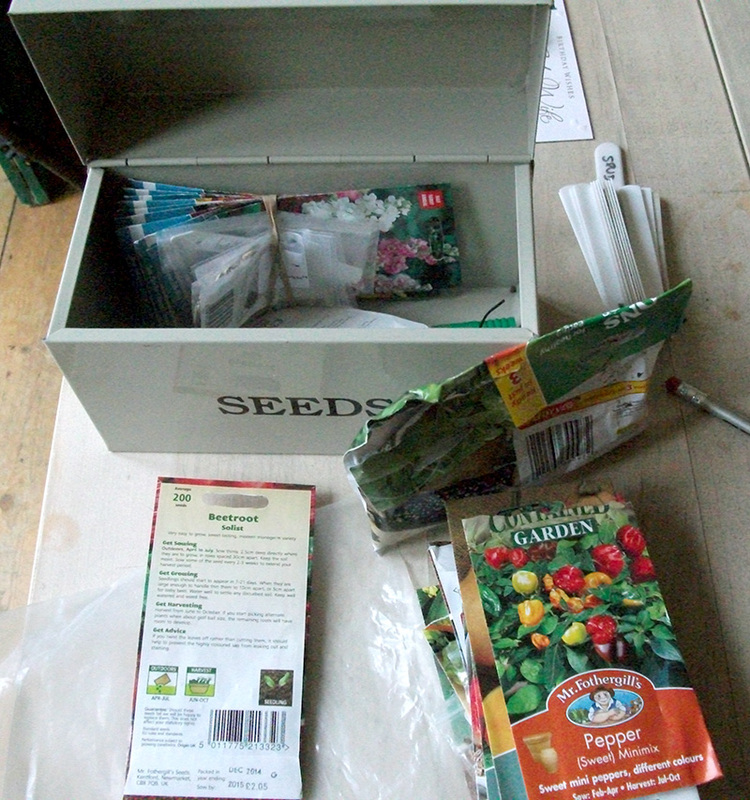 Then there was that bargain seed job-lot I won on ebay too (post here) and that’s apart from packets bought from the garden centre, so those seeds had to go somewhere! 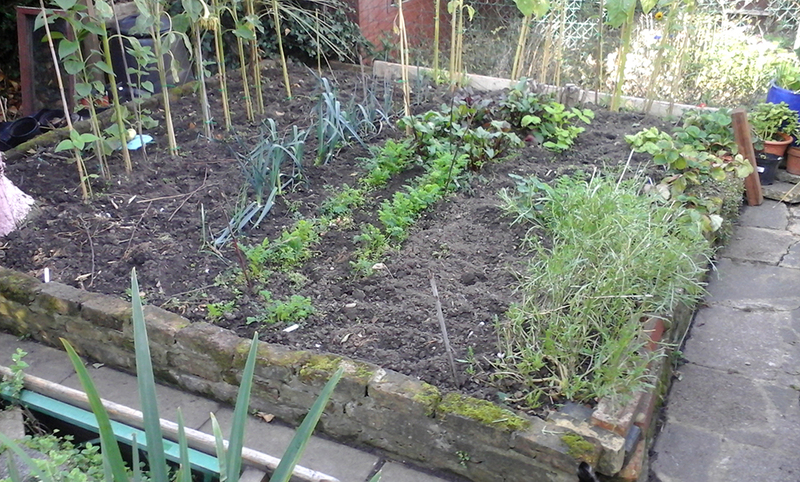 It started with some poppies, then it was beetroots, carrots and a couple of salad crops. Then I added a couple of different varieties of sunflower, parsnips, rocket, cornflowers and not forgetting there were some strawberry plants in already. It looked like a garden designer’s nightmare (below pic: the plot in the summer). So much for a “resting” bed with nothing in it! It’s like gardening itself though, once you start it’s difficult to stop. You go out for ten minute’s “tipping around with a hoe” and you return a few hours later after finding “another job I just had to do”. One thing though, a row of leeks that I started off from seed (above, in the seed tray in the “found in the street” terrarium taken around late February) are just about ready if I wanted to use them small. How long do they take to grow? The best things in life are (nearly) free! 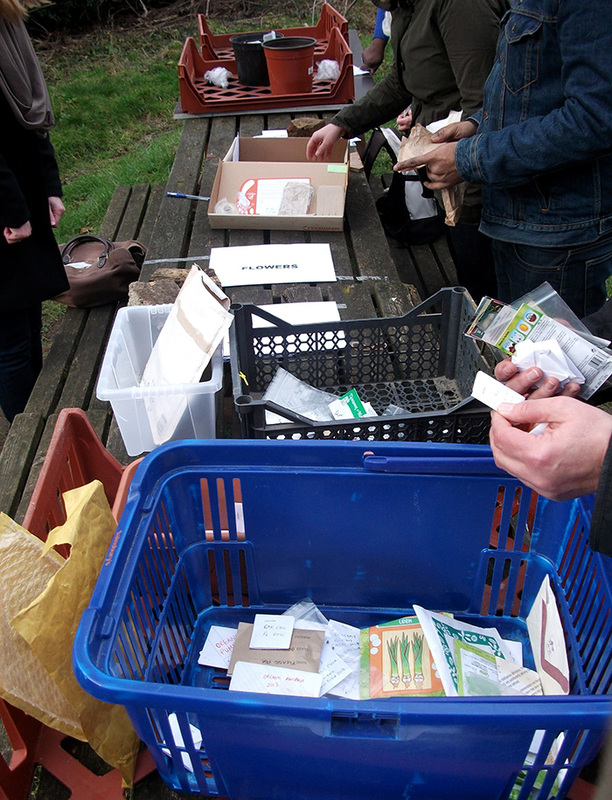 A big thanks to Lewisham Gardens and Golightly Gardens for organising the great seed swap in Deptford yesterday. 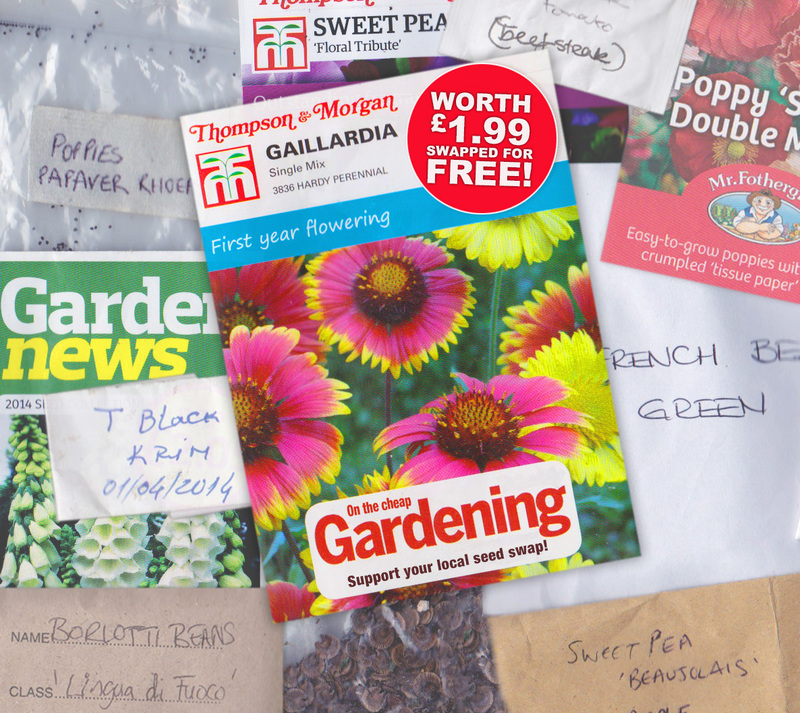 I got nearly everything from my wants list and there were loads of great seeds available. These events are always good for meeting fellow gardeners, getting growing advice and for picking up those odd varieties of seeds. I got sunflowers, sweet peas, hollyhocks, poppies, foxgloves and gaillardia in the flower line. I wasn’t looking for too much veg as I’m happily sorted for those after getting a bargain of mixed veg seeds on ebay the other month. I did get a couple of varieties of basil (bush and sweet genovese), french beans and a beefsteak tomato called Marmande which looked like it could be an extra from that silly 70’s film Attack of the Killer Tomatoes. I was on my way out when I met a lovely chap who was looking for the seed swap who worked for Lewisham council. He told me later after a long shift at the council all he wants to do is spend the rest of his day up his allotment. Great stuff! Back in the seedswap he shared a wide variety of seeds (and I don’t even think he wanted anything in return as far as I can remember) and I got a tomato called Black Krim from Russia! When I finally left I visited the new and improved Dig This Nursery in Clifton Rise, New Cross after being ribbed by Mihaly (who was doing a talk at the seed swap about growing veg in small spaces) for not being up to speed about knowing that their shop has moved. Sometimes I find it hard enough to keep up with what’s going in me own small world let alone outside it! They’ve even opened a new shop in Rye Lane in the parish of Peckham too. In the New Cross shop is a second hand record section where I flicked through some old reggae singles (£3 each) where they had a copy of the late great Nicky Thomas tune Love of the Common People (to hear the original jamaican version without the strings click here). On the B side of that well-known single is the tune below which I was reminded about by The Rhythm Doctor when he span it at one of our events at Limewharf last year. And thanks to the excellent Dancecrasher website (from The Tighten Up Crew) here’s the vocal version of the above from Slim Smith. Well I never knew that! Thanks again to Lewiham Gardens and Golightly Gardens for this event. 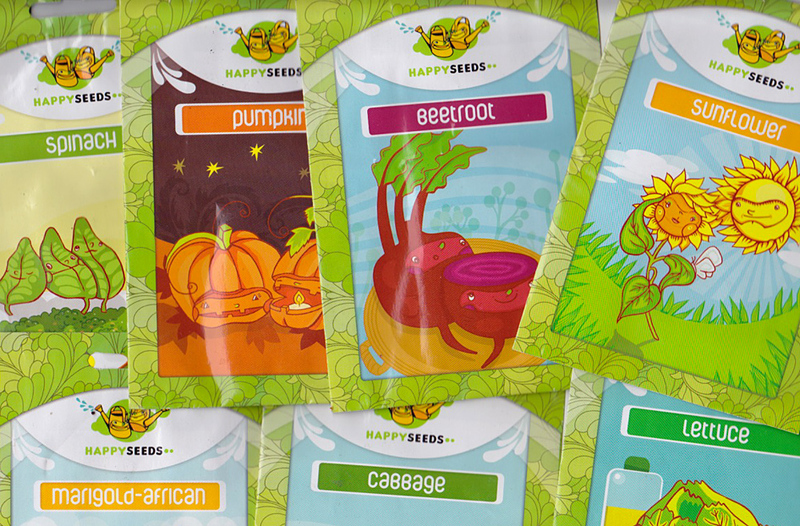 More seed swaps please! It shouldn’t happen to an (onion) set! I was off all last week with the dreaded lurgy and some lurgy it was! I had no interest in gardening plus no energy so apart from sorting out my seed tin for the seed swap this saturday, last week was a total write-off! 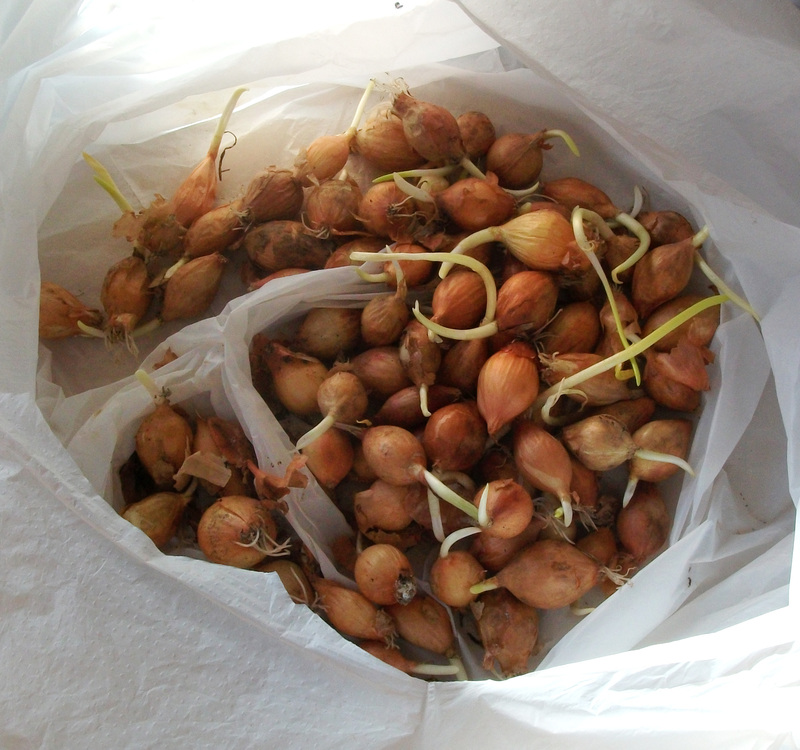 Yesterday I took another look at the onions that are supposedly stored in ideal conditions under the stairs which should have been put in in the autumn for overwintering. Oh dear! 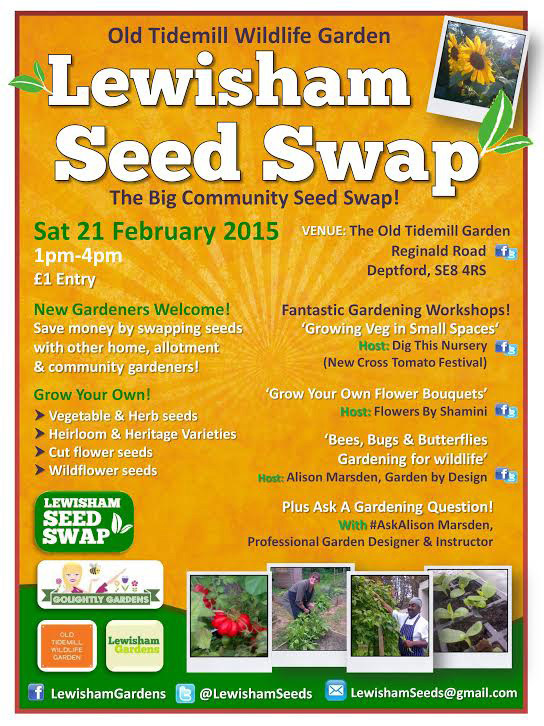 And finally a quick reminder about the seed swap next Saturday in Deptford. It’s only a quid and you get three talks thrown in as well, so see you there! More details on twitter here. A big shout to Lewisham Gardens and Golightly Gardens for letting us know about their next seed swap on Saturday February 21st at Old Tidemill Wildlife Garden, Reginald Road, Deptford SE8 4RS from 1pm – 4pm. Last year’s event was great (a post all about that here) and this one looks even better. Alongside the seed swap there’s some interesting talks too, including one from Dig This Nursery (who know a thing or two about the humble tomato) and Alison Marsden from Garden by Design. The cost of the afternoon is only £1, talk about value for money. Spread the word! 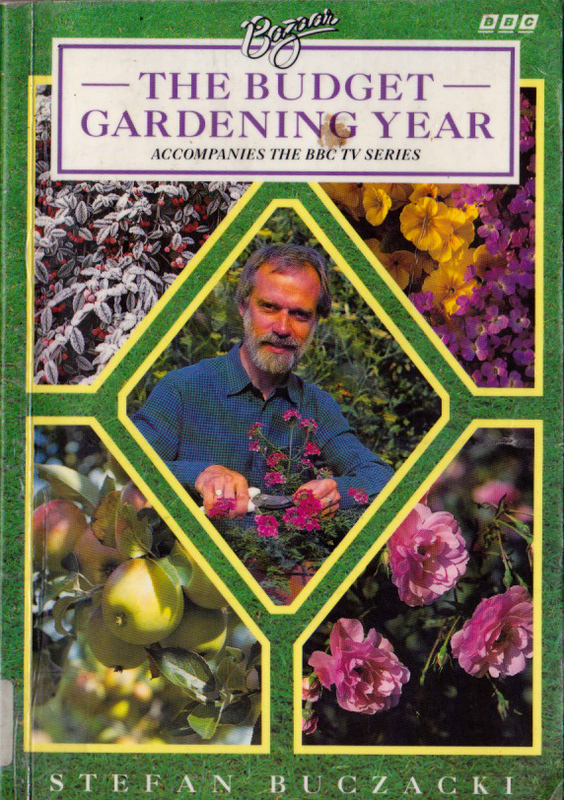 Here’s a good book I found in the library on friday called “The Budget Gardening Year” by Stefan Buczacki from the BBC TV Series of the same name from 1993. And to add to it Stefan looks like a (thin) ringer for “Whispering” Bob Harris from The Old Grey (Coat) Whistle Test on the cover too. It’s well worth getting out of the library for the money saving tips but there’s a few that sound like they could have been taken straight out of Viz, or am I missing the point? 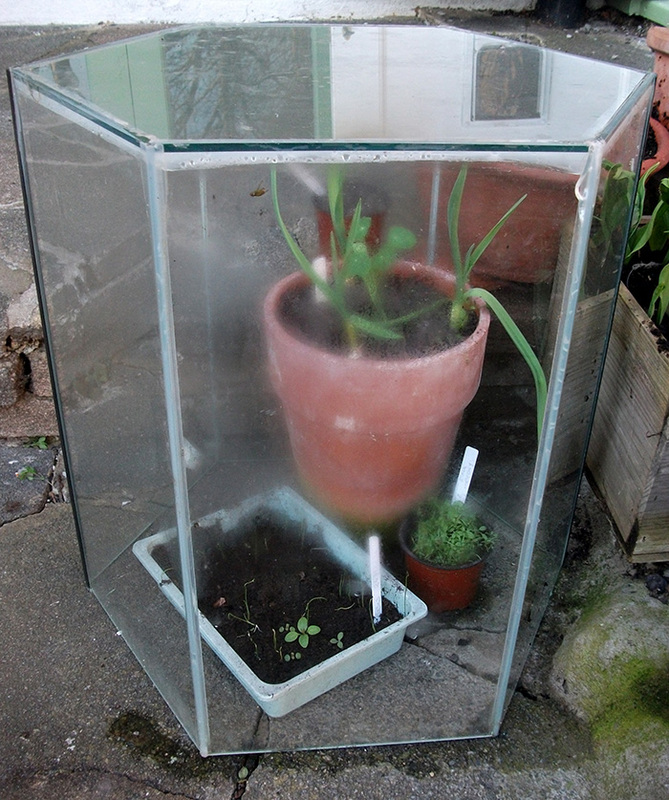 Also a big thanks go out to Penny from Golightly Gardens who mentioned on her website about replacement plastic covers for those mini greenhouses you get from garden centres. Mine went for a burton last year when our cat jumped off the roof breaking it’s fall and splitting the plastic in the process and has been sat coverless since then. 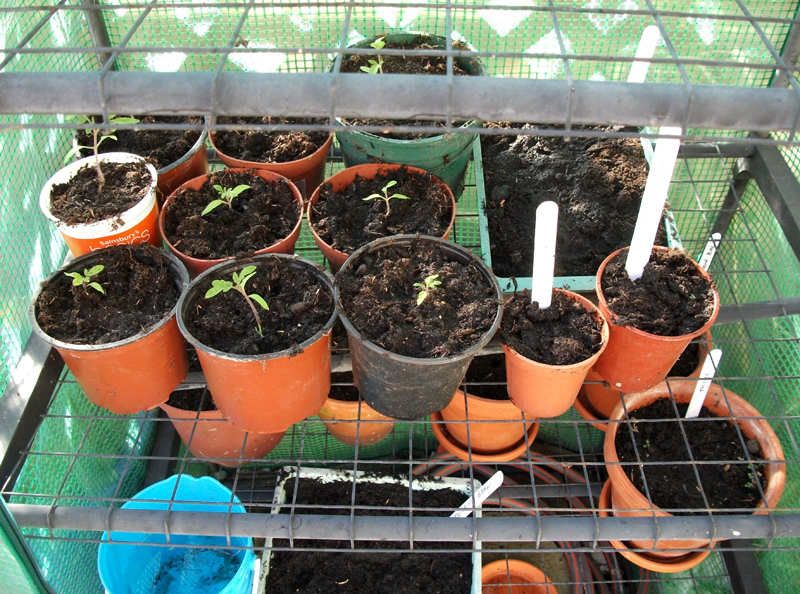 Last week I got a replacement off ebay for a tenner and it’s now housing tomato seedlings and trays of freshly sowed runner beans and courgettes, and they’ll be more going in as the days go on! 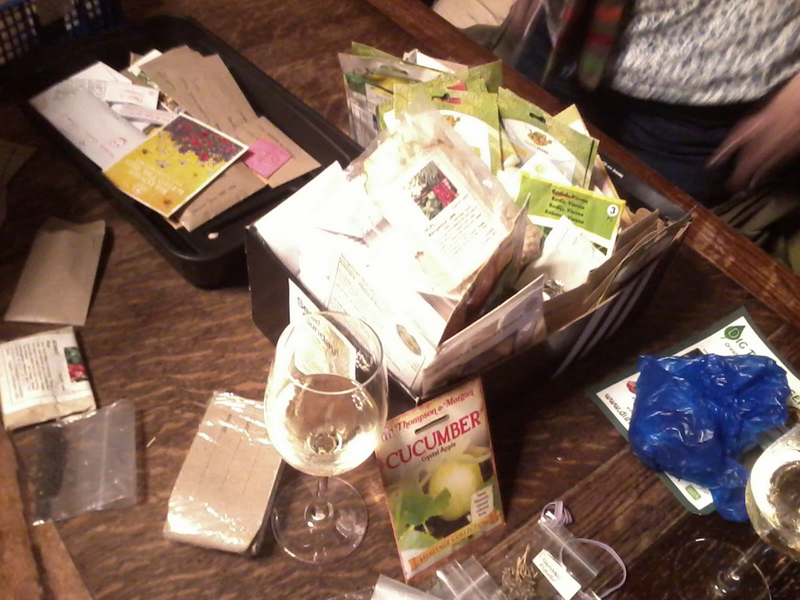 It was a nice friendly atmosphere in the Station Hotel, there were a couple of big tables worth of boxes of various envelopes, seed packets, “dealer” bags, plastic bags and folded paper containing all sorts of weird and wonderful seed. I’m now suffering from the “why didn’t I take some of those” or “had a pack of those” syndrome. It was great to meet up with like-minded people who also enjoy rummaging through boxes of seeds and writing on and taping up paper bags. I also met Theresa of Kitchen Buddy (who told us about a foraging walk on May 25th which sounds interesting see ourhithergreen.com) who I done a good swap of mangetout for a pack of cinnamon basil seed who I found out is a good friend of our old musical collaborator Hayereyah, talk about a small world! 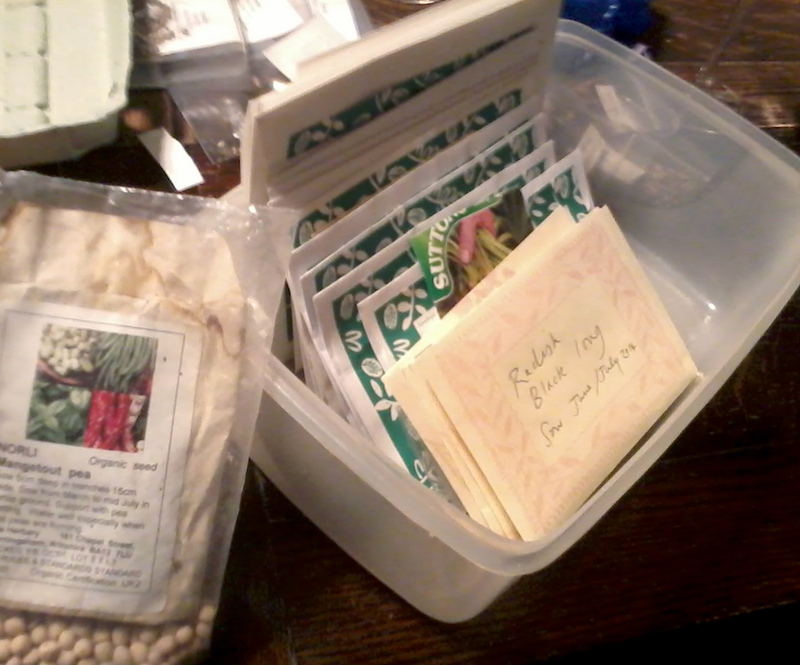 Viva la seed swap!